Japanese Fashion Magazine, Liniere, is now offering this very fashionable pouch as on pack promo to their readers. Head on down to the 7-11 convenient store at the Hong Kong MTR Station to spot this promotion! Simply top up an additional HKD$32 to receive the on pack promo. Hurry make your purchase before this pouch runs out of stock! Take a look at the on pack promo offered by Liniere on the magazine shelf! Marie Claire Attracts Readers With Their Product Marketing! Liniere Magazine is now offering a very fashionable and pretty mini pouch as on pack promo gifts to their readers. By offering promotional gifts along with their magazine sold, readers would be enticed to purchase the magazine. Some people may even purchase the on pack promo package just to receive the pouch. The pouches are durable and not easily spoilt, which would increase its perceived value. These fashionable mini pouches would be able to catch the attention of readers and attract them to take a closer look at the package. Liniere targets their marketing gifts at their audience readers, the women. 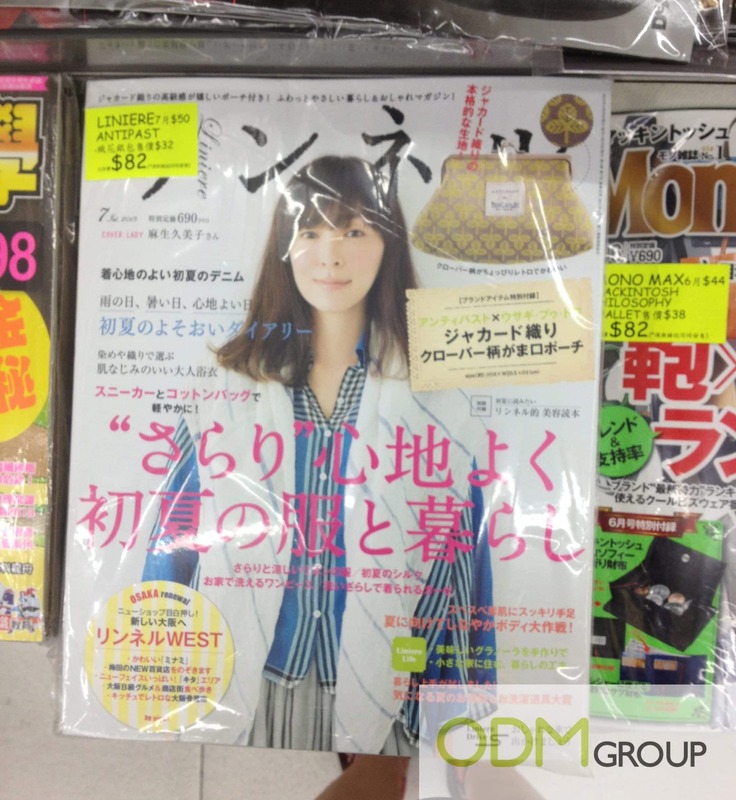 By offering something that a woman needs in her everyday life, it would definitely be able to act as incentive product to increase their magazine sales. Branding is vital in increasing brand awareness for your company, which would thus increase sales. The mini pouches are designed by ANTIPAST, a famous accessories store in Japan. 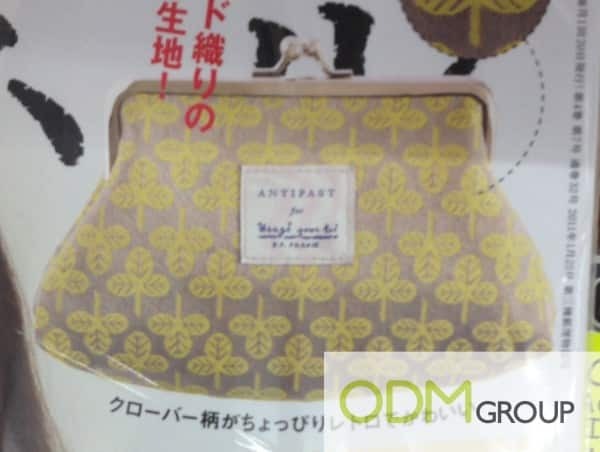 By branding their logo on the pouches, other people would be able to notice ANTIPAST logo when readers carry them out. The mini pouches not only act as a marketing gift but also a free walking advertisement for your company. In the long run, it may even help build brand loyalty and brand recall. Remember to brand your promotional gifts before offering them to your customers!